There was something absolutely magical, something that made me tear up, as I watched this massive group of people across an entire city block - teenagers out on the town, families with children, senior citizen couples that have been together for years that I can only imagine, have endured the ups and downs of marriage - all dancing under the stars without a care in mind. I'm talking, getting down to some cumbias! Without a worry of what they looked like, whether they knew the right dance moves, whether anyone was watching, everyone appeared to be so...FREE. This sense of freedom is in part what brought me to Merida, Mexico: it had been well over 2 years since I had traveled alone - an experience I'm quite familiar with and flourish in - and I sought to once again be the sole driver of an adventure ahead of me. True to my ways, I mixed my love for finding the best food in town with physical adventures - Jumping into cenotes? Climbing Mayan ruins? Yes and please! 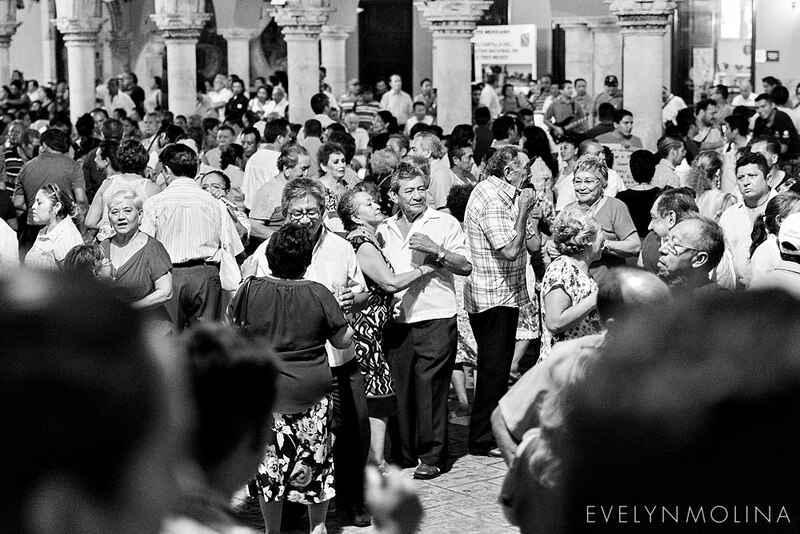 - and in watching people dance in the streets in such an uninhibited way, I was reminded that free is how I want to live my everyday life, and how much I love to dance, and how long I've been waiting to dance like no one cares that I don't know how to dance cumbias. I love colonial Mexican cities - hello culture, history, architecture! - and Merida is known to be phenomenally safe! 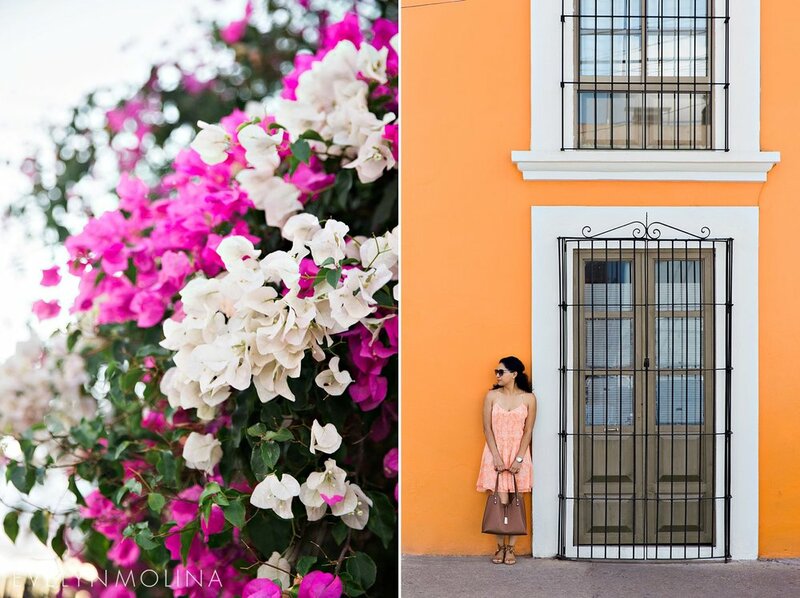 While Merida did not blow me away like Oaxaca's culinary scene and surrounding villages left me longing for more, I have never felt safer traveling not only as a single female, but one walking around with a generously sized professional camera and lens. My past life working in the luxury travel industry introduced me to the world of butlers and in-room, personal plunge pools, but it also ingrained the value of experience in me: the exposure to something above and beyond my everyday life that leaves me with a memory or a felt emotion. Rosas & Xocolate is THE best known luxury boutique hotel in Merida, but they were sold out over my travel dates and they are located off of Paseo Montejo, a tiny bit farther from the city's cultural center than I desired. I still checked out their restaurant, where I had most delicious nopales I've had in a while and their tamarindo margaritas that were on point! The place simply smells beyond amazing and service was top notch! Location for me is always key! I wanted to stay in a small hotel, walking distance from the center of town, but not where I would step out and into tourist-ville. Casa de las Palomas fit the bill: I could walk to el centro as well as to local bars and restaurants i.e. La Negrita is 2 small blocks away! 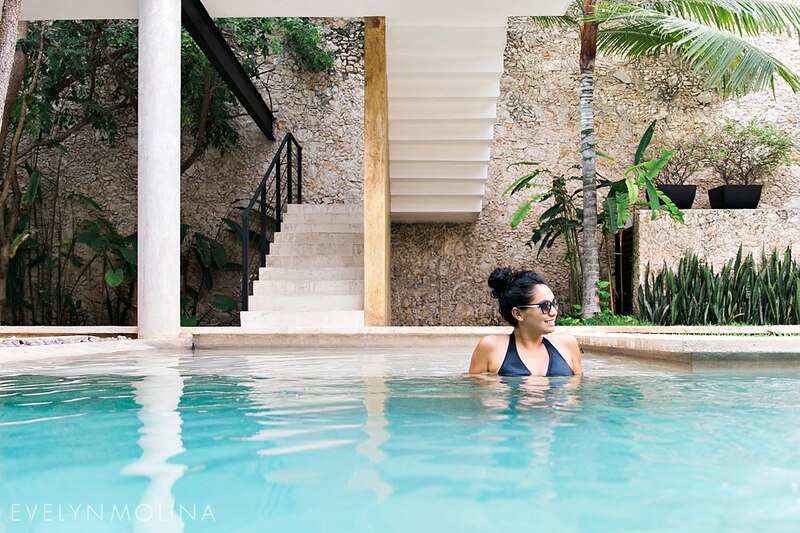 Each room's double doors open up to the courtyard with pool, which is the perfect spot for midday dips because Merida gets hot in the summer! Merida's historical center is not massive but having a lay of the land made a world's difference to me and helped me decide what to check out later. 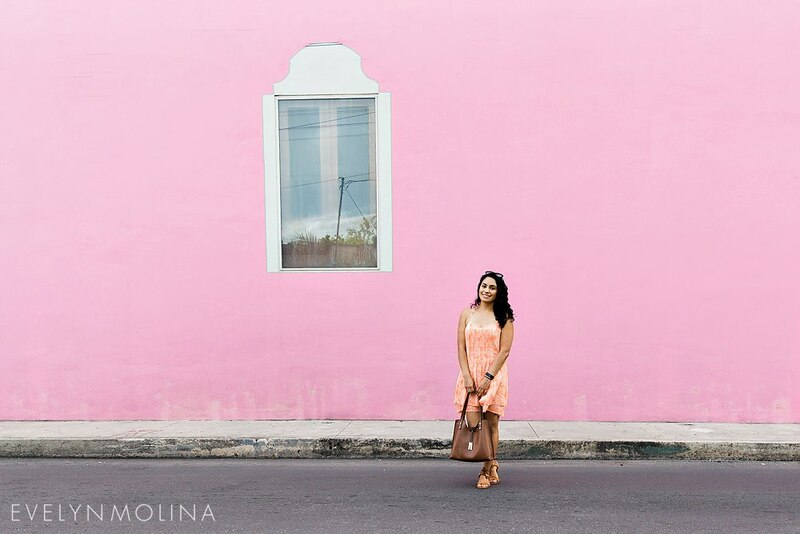 Enter Pink Cactus Tours, who offers free, two hours tours of Plaza Grande, San Ildefonso Cathedral, and more. Emilio and Sophia are amazingly knowledgeable about the area and it's historical importance. They are both so warm and welcoming! I'm not cool enough to be paid for any type of marketing, so know this opinion is genuine! I wanted an 'off the beaten path, only a few people know about this spot' cenote experience, but given that I was traveling alone and had limited time, I went with a group tour to the Santa Barbara Cenotes. Upon arriving, I felt a tiny bit of regret: the place looked clean, organized, and civilized. Where was the adventure? Where was the authenticity!? Well let me tell you: I was very okay with clean and civilized! I was not jumping off a vine and splashing down into a pool of unknown water, but walking down man-made stairs and going straight to swimming in this clear, warm water was everything! There is a restaurant on property as well that serves food good enough to chow down on post swim; I recommend the sopa de limon and pic choc! 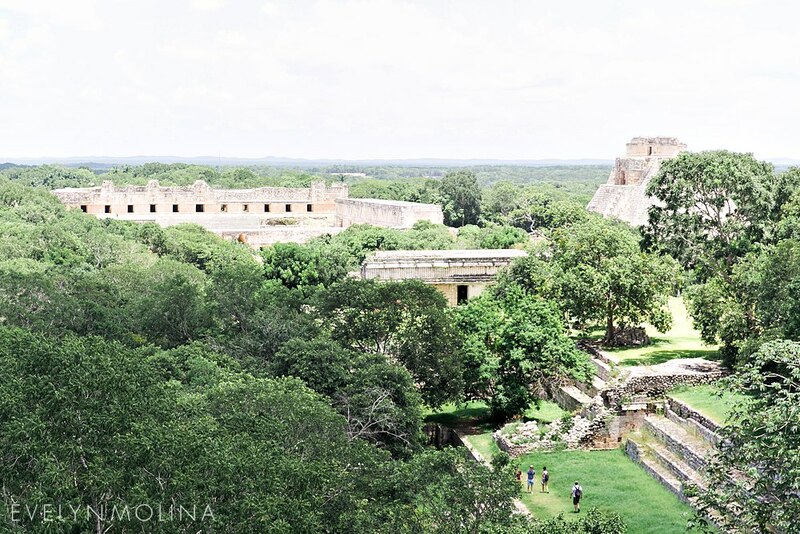 Given the significant impact the Mayans had on the Yucatan, I knew I wanted to visit Mayan ruins, but the question was, Chichen Itza, farther away from Merida's town center, but what everyone talks about, or Uxmal, also considered to be one of the most important archaeological sites of Mayan culture and closer to town? I went with the later and had zero regrets: the crowds weren't nuts (as they potentially are at Chichen) and I saw and learned plenty about amazing Mayan architecture and life. I did each day tour on different days. Give me a place where I can get different types of food, live music, colorful Mexican decor, and throw in cute string lights as a bonus, and I'm in love! 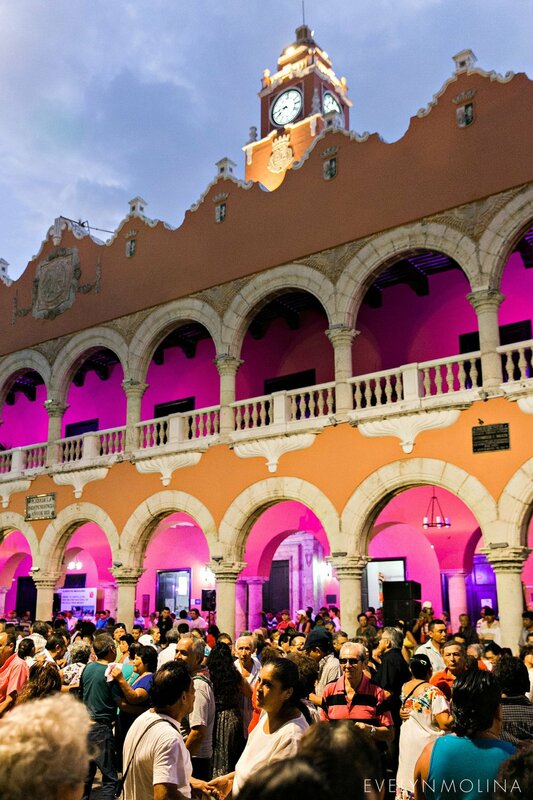 Mercado 60, or M60, is an outdoor food hall where you can find everything from Oaxacan tlayudas to pasta while a live Cuban salsa band plays on a Saturday night. Here is where I found both locals and tourists alike yet I returned twice because the atmosphere was laid back and inclusive with communal tables. I've been to many Mexican markets and I simply love them: this is where you can taste and buy local fruits and food from locals, and this I did! Highlights: having access to cherimoyas (the green artichoke looking thing below), cold pitaya/dragon fruit juice that reminded me of my times spent in Nicaragua, minced meat stuffed and fried 'kibis' (below, left), and spices galore that I brought home with me! What amazed me about nightlife in Merida was how present live music was at every bar I walked into! Pipiripa: With no sign outside, I walked in simply because I could hear a live salsa band, and I needed to follow this sound! Hanging out here was the highlight of my going out in Merida: outdoor seating, live salsa band with room for dancing, and plenty of space to sit and socialize without feeling cramped. La Negrita: By far the most recommended bar to me by locals, I loved how this 'cantina' had both indoor and outdoor seating. There was live music every time I passed by, day or night! La Fundacion Mezcaleria: Like Negrita, LFM also serves late night food, however on a crowded Saturday night when a rock band is on stage, be prepared to eat standing or very cramped at the bar. Some nights have cover! Three years after having moved to Southern California, I am still surprisingly asked where one should eat while in New York City, my home for a number of years. A combination of my desire to continuously try new things and having the most diverse, and some of the best, cuisines represented in the city, made me the foodie I consider myself to be today. New York City restaurants change all of the time, so I put together a list of my classic, always-go-to-when-I'm-home-in-NYC eats! While I've written about other foodie adventures before, in writing this blog post, the reality hit me that all of these foods bring me back to positive experiences. Taim is what I used to always eat post spin class at the Greenwich Equinox. Levaine's is where I always took my many out of town friends visiting the city, and ordering at Vanessa's reminds me of the beautiful chaos - the yelling, the close knit quarters - that New York City is on a day to day basis. The best falafel has a soft center and crispy, but not TOO crispy, shell. Taim gives you THE perfect falafel (in three flavors!) 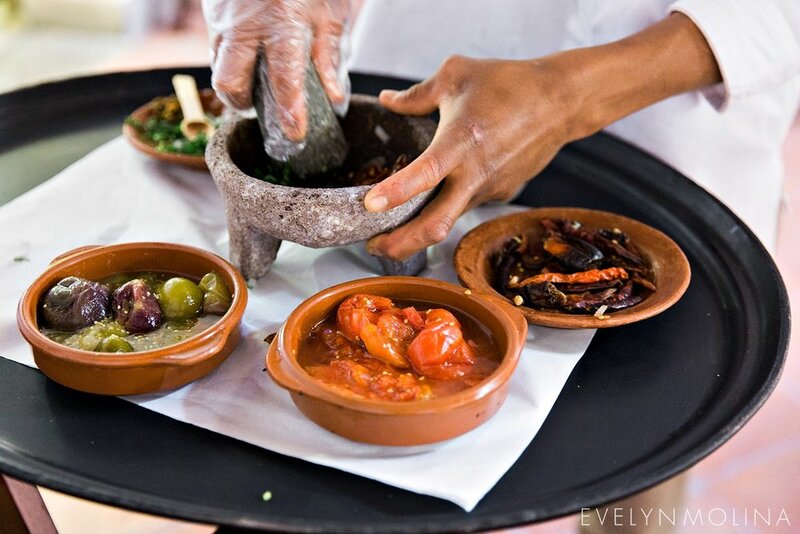 with the freshest ingredients and most flavorful tahini. I love their original location in the West Village. Yes, a little small, but so are many spaces in NYC! What to order: Falafel sandwhich with the traditional green (parsley, cilantro, mint) falafel, "with everything" being KEY! This gets you pickles (SO. BOMB.) and more. Wash it down with a date, lime, banana, soy smoothie. I actually make this smoothie at home with Greek yogurt for a protein kick AND it reminds me of sitting at Taim, looking out the window watching life go by in the West Village. Sigh. Levaine Bakery cookies are THE. BEST. IN. THE. WORLD. Every bite has the perfect amount of melty, gooey, chips (whether chocolate chip or peanut butter) Each cookie is hefty, and they should be as they were created by two former triathletes for major substance! They are slightly firm on the outside, perfectly soft in the center, and remain soft even a day or two later. No Levaine cookie has lasted longer than 2 days in my presence :) I always go to their tiny Upper West Side location but as of June 2017, they've opened up a second location three blocks away! What to order: I love their original walnut chocolate chip cookie followed by their dark chocolate peanut butter cookie. Their bakeries have other options - scones, sticky buns, etc - but the cookies are why you go! There are a lot of amazing dumplings options in Chinatown but I keep going back to Vanessa's! I like a variety of dumpling options and freshness, and Vanessa's gives both of that to you! You literally see the dumplings being fried and boiled as you order them. Do not let the almost always crowded tables turn you off: people eat dumplings quick and keep it moving! Also, ensure you go to their original Chinatown location and not 14th St. 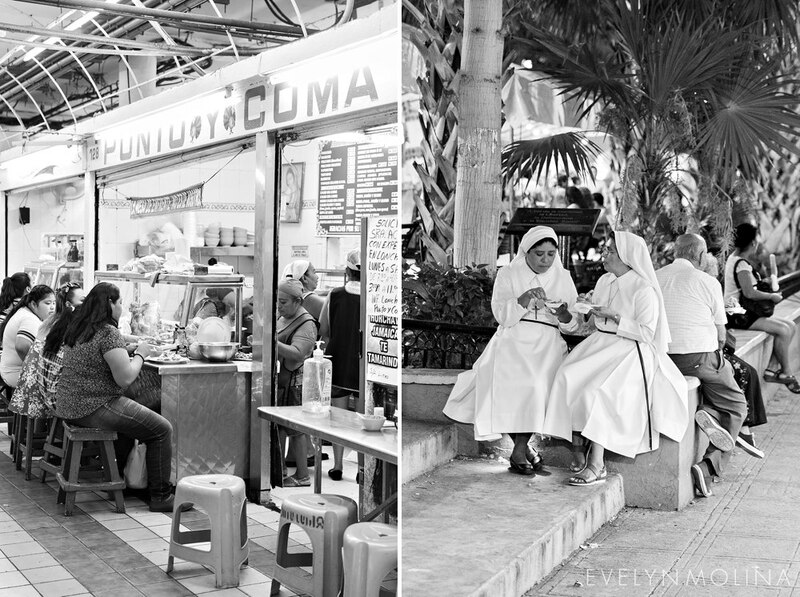 Note a theme here: I like the original places of each of my fav places! It's where it all started for these places! What to order: If you get ONE thing, get the chive and pork boiled dumplings. Those are the ones below and are my fav! If you order a bunch of things, as you should, get the sesame pancake, the pork fried buns, and another order of the chive and pork dumplings, but the fried version! Also, eat them there! Everything is best just a little after they hand you over your order, because everything will be hot! $7, chicken and rice. Extra white sauce, please. These two things will bring you great joy and is what you need to know about ordering at the Halal Guys. These carts that are open from 11am to the wee hours of the night (hello, post bar/club food!) crank out the best Halal food! Juicy chicken and gyros! Yessss! While they have several platters and falafel too, I am all about going to mid-town for the original cart experience and sitting near by to eat. What to order: As mentioned, chicken and rice with the white sauce! The white sauce is clutch! If you like spicy, ask for the red sauce too! There have been countless times when I have reflected on a past meal and said to myself, "I remember when I ate..." and simply beam in recalling that memory. The time I finally gave in, and where I learned to like, mushrooms in Italy. The time I found myself in a dark, smokey Shanghai ally, where I sat in mini chairs, with a mini table, to eat fresh steamed mystery dumplings I ordered by pointing, nodding, and smiling. Sigh. As a lover of food and the experiences collected with them, I knew I wanted to check out Oaxaca, Mexico thanks to the Chef's Table episode on Chef Enrique Olvera: he endearingly boasts Oaxaca as a place of inspiration for him, where one of kind dishes are found. I was ready and willing to visit what is considered Mexico's food capital! A week in Oaxaca was just what I needed to eat at every place I wanted to experience, explore outside of the city, and sit in the Zocalo to watch life go by. Every person I encountered was warm and welcoming, and I definitely cried during my last stroll in the city; I was so sad for my trip to be over but so grateful to have experienced this amazing part of Mexico. Below are a few of my trip's highlights in Oaxaca! My heart literally pitter patters at the thought of eating at Casa Oaxaca. Everyone wants to sit on the rooftop that overlooks the Church of Santo Domingo; I did so for dinner and lucky me, literally had fireworks going off during my meal! I also had lunch on the first floor and found the experience to be just as amazing. Table side made fresh salsa accompanied with a massive tostada top with crumbled queso fresco starts your meal on the right foot, and I highly recommend the mezcalinis. Casa Oaxaca was the highlight sit down restaurant for me! Tlayuda Tradicional with chorizo. This traditional Oaxacan dish is a large folded over tortilla with a variety of fillings, from cheese to mole to squash blossoms. Tostadas de atun, or tuna tostadas. Ensalada de nopales, or cactus salad, which meshes nopales, beans, grilled avocado, and more in a mouth watering dish. 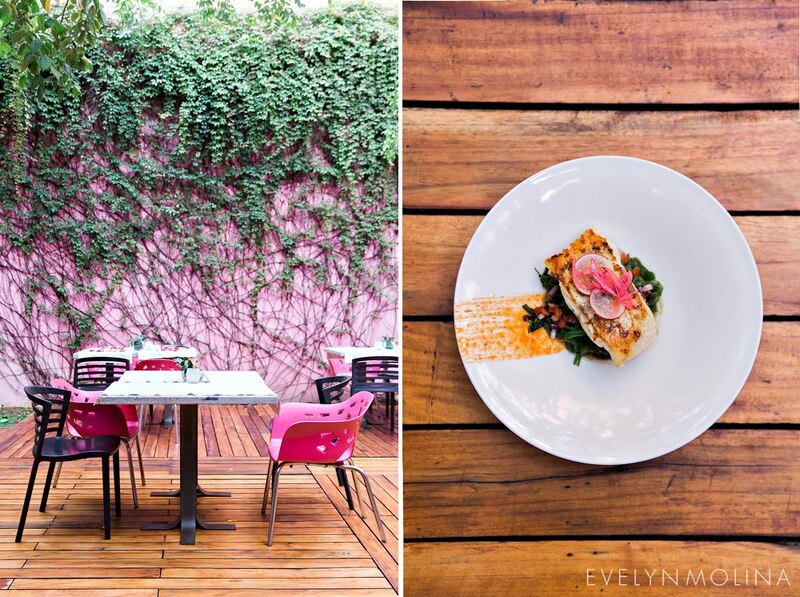 What to know: You absolutely need a reservation for dinner, especially if you want to secure seats on the rooftop. Also, come hungry. 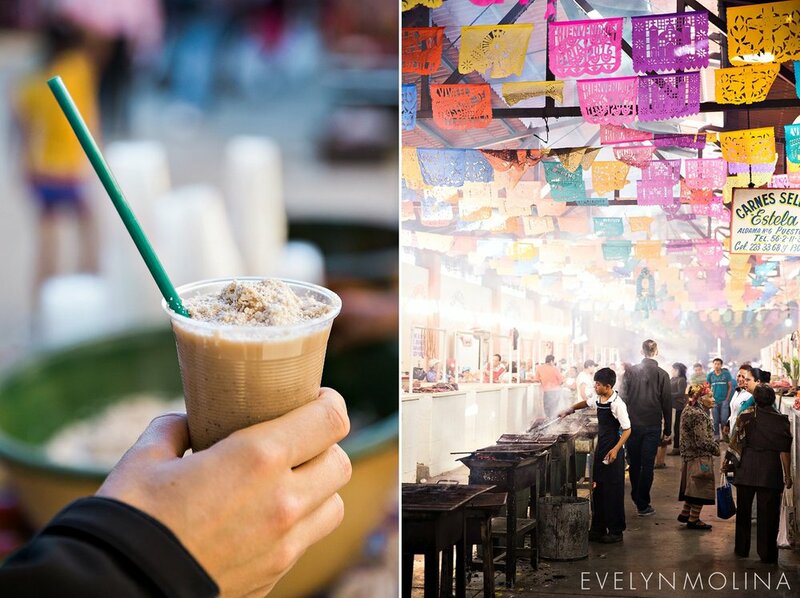 20 de Noviembre is a traditional Mexican market where you pick out grilled taco meat from one of many meat vendors in the long corridor, hence 'taco ally,' and enjoy your tacos. Simple in theory, a bit more complicated in execution when you walk in, and at peak times, face chaos: everyone wants to help assist you. 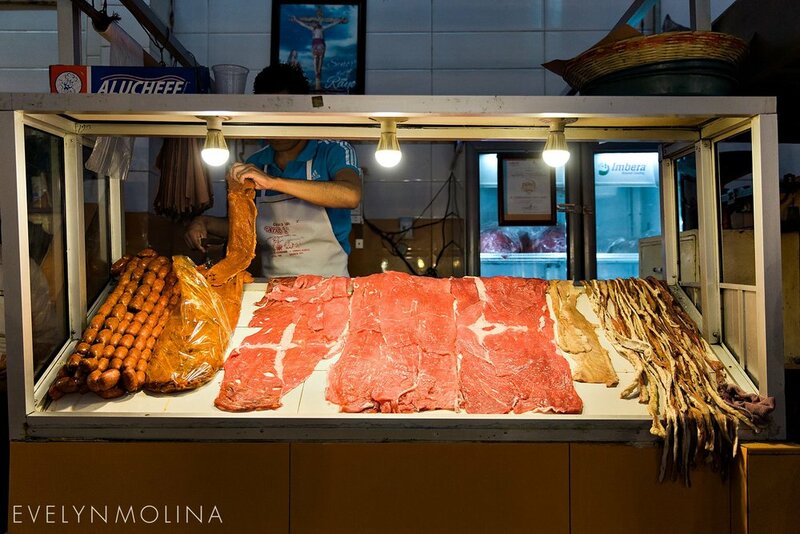 Initially overwhelming, but an absolute must-do because everything is so fresh, delicious, you're likely to end up sharing a table with locals, and the intensity is exciting. What to know: Follow these steps and you'll enjoy your tacos stress-free! Walk in, grab a basket, pick a stand, and select your meat and quantity. We really liked the cecina enchilada (adobo marinated pork), and you may also ask to have onions or other veggies they may have on hand to be grilled. Pay for your meat directly with the vendor. Walk back to the entrance and have one of the gentlemen coordinating the family style seating area seat you. Once seated is where you order fresh tortillas, beverages, and a variety of toppings, from fresh cut limes to salsa picante to pickled carrots from the vendors walking from table to table offering their specific product. You pay each vendor for the goods they have sold you. Your meat will be delivered to your table, and it's time to ensemble your tacos and enjoy! 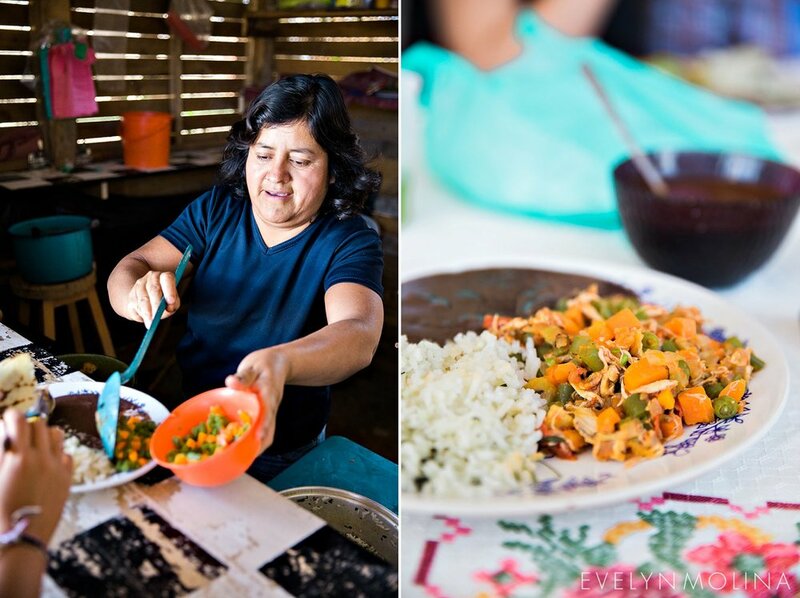 In doing my research on Oaxaca, I came across Fundacion En Via, a non-profit that provides micro financing and support to women in Oaxaca and its surrounding area to run sustainable businesses. As a woman business owner myself, I was fascinated and thrilled at the idea of taking an En Via tour to visit and learn about some of these women. There were 11 guests and two English and Spanish speaking tour guides, who were THE nicest, and together in a van we made stops to five different women's businesses in two villages outside of Oaxaca. One stop was in a small village where we were welcomed into a woman's home and restaurant where she personally served us lunch and told us the great impact accountability and micro financing has provided her: she has been able to build a cement floor for the restaurant and hopes to extend the roof as her next investment. She dreams of one day having a map on her wall and having every person who visits note where they are from. We moved onto Teotitlan del Valle, a popular community known for it's woven rugs, and where we were welcomed into the home and workspace of a woman who have been weaving since she was a little girl. She was extremely proud of the new business cards she had just received, in fact her first business cards ever! These women are hustling to make it work for themselves and their families; I have to say that this entire experience was humbling and one of the top highlights of our trip to Oaxaca. To date, tours are only held on Thursday and Saturdays, so we plan accordingly. 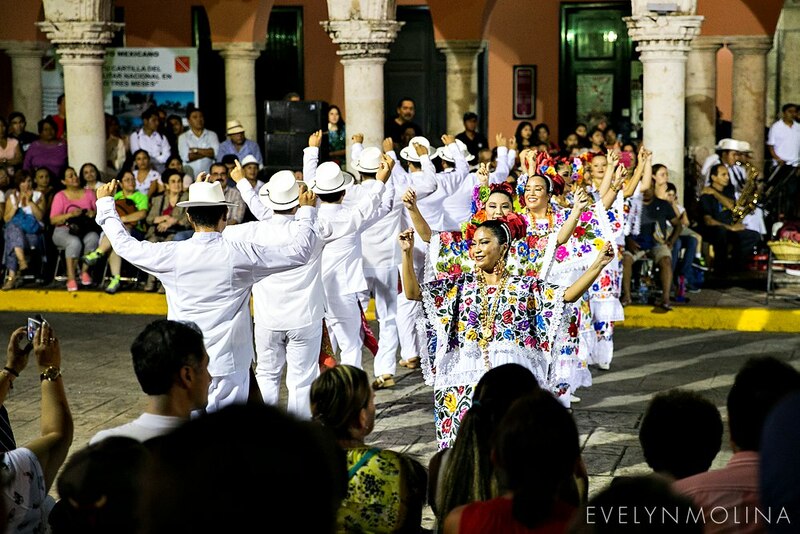 Carve out a full day for this: the tour leaves Oaxaca at noon and returns in the evening. There was one rug in particular that caught my eye, and someone bought it before I made up my mind. I don't live with many regrets, but I still think about this rug! I could have known who made it and where it came from! Moral of the story: see and like a rug? Buy it. From the street, we saw this really cute room with colorful jars lining the walls. With no sign on the exterior, I hesitantly walked in and surprisingly found myself in the health food store, Suculenta. Selling organic jams, oils, pickled veggies, cacao and more, the owner and maker of these goods, Paulina, is there making all of these organic goodies right there in shop and welcomes you taste test anything! What to buy: Everything here makes the perfect gift, but the sweet pickles were my favorite! You can stock up on a lot of small sized jars to maximize the variety of goods you bring home! When in Mexico, I am always seeking the best pan dulce because hands down, I love bread. Warm, fresh bread right of the oven? Even better, and this is what Pan:Am delivers! Pan:Am is part bakery, part coffee shop, part sit down café located in the center of town. What to order: Their Oaxacan chocolate croissant and their cream cheese and fruit filled pastry are musts. Perfectly flakey, not too buttery, and even better warm! My jaw dropped and my eyes widened. "I love it. I love it SO much," were my initial words upon walking into the this museum, and Chris said, "I knew you would." The long, multi floor corridors with beautifully arched, tall ceilings are stunning and were immediately added to my 'wedding portrait dream locations' list: simply classic and bright! As my partner, Chris knows the inner workings of my creative side and ensured we visited this museum because he knew this backdrop would make me so happy. Aesthetics aside, the massive museum covers the history of Oaxaca and how its cultures were shaped and formed with a number of accompanying artifacts. What to know: Most if not all descriptions are in Spanish, and even as a native speaker, I couldn't read and decipher everything as fast as I could in English. The Museo does give you great views of Plaza Santo Domingo and the respective signature Oaxacan church. Recommended to me by a local, this independently owned cafe is known for it's hot chocolate, roasts coffee on site, and offers pastries as well as an extensive food menu. I was welcomed by friendly barristers each time we visited, all eager to give me recommendations on their specialties. 'Chocolate Oaxaqueno con espresso' aka Oaxacan hot chocolate with espresso, pictured below. Caramel banana frappe, also pictured below. San Martín Tilcajete is a must! Known for its community of wood carvers of beautiful alebrijes, brightly colored Mexican folk art sculptures of both animals and fantastical creatures, Jacobo y Mari is the must-see shop. They create small, hand held sized figures to life sized sculptures. The shop tour guides walk you through the alebrije making process and you are able to see artists carve and paint there too! When in Oaxaca, you must drink mezcal! As a mezcal novices, I found the best place for education and tastings was at Mezcaloteca. Appointments are required at this bar where the servers individually go over the history, traditions, and ‘how-to’ taste mescal with you. I had a private driver take me to Monte Alban, an archaeological site right outside of the city. Come early! I arrived at 8am, was the first one there, and avoided the crowds by the bus loads who arrived around 9am. I stayed at Quinta Real Oaxaca. I considered it to be in the perfect location - walking distance to everything, and its grounds are beautiful with fountains and natural light everywhere. The rooms were a bit small and as a former convent, the walls lacked insulation of noise, but we would definitely stay here again. Collecting dust. Completely neglected. Wait, do I even know where it is? These were the thoughts that ran through my mind earlier this year when I would think of, none other than, my passport. Oooooh, my dear, dear passport. To fully grasp the dramatization above, you should first know that prior to becoming a photographer, I worked in the luxury travel industry, partnering hand in hand with hotels around the world on their marketing and sales strategies. Having not grown up traveling, I quickly realized how privileged I was to have my career intersect with my personal desire to explore the globe. Even after I moved to the West Coast, international travel was a huge pillar in my life as I am an explorer, foodie, and lover of how locals live. This past year was, however, different: I didn't take an international trip, and frankly, between shooting weddings and taking on projects, travel took a backseat for me. Earlier this year, I began to itch and have these sad thoughts about my passport. Even if time constraints did not allow us to fly to another continent, enough was enough: sandwiched in between a photography conference in Las Vegas and a business trip in Dallas, I decided that I needed to get away: hola, Puerto Vallarta! After lots of tacos (Pachos Takos are everything! ), ATV riding, and riding the public bus for cheap thrills, I ventured to nearby town Sayulita, and as I lay on the beach, I sighed with relief: this was never about my passport. This was about prioritizing, and balancing, the experiences that are life giving to me. I are already planning my next trip, one that's been on my radar for several years, and my passport is clean and safely tucked away, yet ready to go at a moment's notice.